Have you had trouble sourcing cost-efficient, timely, and high-quality class “C” components? Do you feel, often, that you can’t have all three qualities? That you have to choose two – cost-efficient, timely, or high-quality – at the expense of the third? If so, we’re happy to tell you that your dilemma is over! ASF Components is a dedicated supplier of the industry’s best class “C” components and, more importantly, we maintain a firm commitment to upholding strict quality standards. With a wide range of quality checks performed in house, we are the industry’s leading supplier of dependable, consistent, and cost-efficient components. We understand that you need to be confident in your suppliers. Your operation’s efficiency is reliant upon the timely delivery of class “C” components that can get the job done. 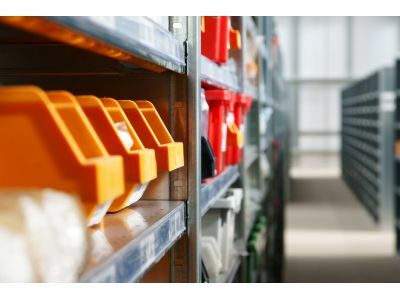 If you’ve found yourself delaying shipment of your products because of defective components, we’re confident that you’ll benefit from a relationship with ASF Components. Aiming to provide our customers with the absolute best, defect-free, and cost-efficient parts on the market, we take steps to ensure that all non-conforming parts are weeded out, corrective actions are taken against suppliers of substandard parts, and – most importantly – that our customers are fully satisfied with the parts that they receive. At ASF Components, we’re immensely proud of the work that we do. With the goal of helping our customers maintain their uptime, we strive to prevent shutdowns caused by defective, incorrect, or substandard parts. We understand that class “C” components are the glue that holds a product – and an operation – together and, because of that, take extreme measures to enforce a zero defect policy. If you’ve been searching for a supplier that will work with you, understand your needs, and deliver parts that will rise to your operation’s challenges and applications, contact us today to discuss how we can help.